Here is November’s monthly manga review. I didn’t see a new chapter for D.Gray-man so it’s probably still on hiatus and of course so is Gate 7. On the plus side, I have included PSYCHO-PASS‘ manga’s first chapter in this review as well as the chapter of Kimi ni Todoke I forgot to review last month. Looks like AoEx is doing something a little….not to my liking. One thing I will give this chapter credit for: making use of Takara. He’s been a character shrouded in mystery for one reason or another, and we finally get to see his powers. It wasn’t the most exciting moment in the series or even this chapter, but at least we know what it is now. I can’t believe I was satisfied with just that……. Clearly the series is moving towards another big arc and possibly an end in the far future. It’s because of this that I don’t like how Rin & Co are being excluded from the main story for the time being whilst the adults are doing their own thing. Generally speaking, I hate it when the main character has nothing meaningful to do with his or her time and is put in the backseat. 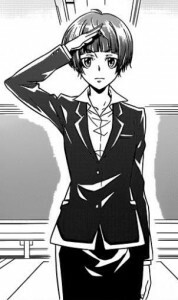 I just hope we won’t be seeing more of (or at least much of) this 7 School Mysteries side story. There’s so much going on that the story doesn’t have to resort to something like that. Simply giving Yukio some focus for his doctor’s visit is more appealing. I don’t know what it is, but Claymore has been very memorable recently. There’s a lot of talking this chapter, contrasting the lack of talking in the previous one. Lately this pattern has been a little disruptive and that lack of fluidity is really taking its toll on the story. I didn’t feel like we were being led up to the climax or any sense of tension for that matter. There was too much talk accompanied by one major moment that isn’t even that major. At this point, I’m finding it hard to keep up with all the names of all the Abyssal ones, making me unphased whenever they mention it again. At least the story is going somewhere. Now that the male characters have been tied into the fight in some manner, we’ll hopefully see a more impact filled chapter. 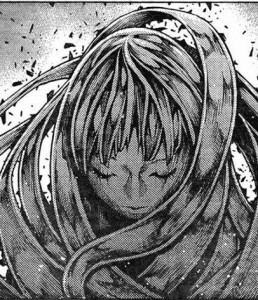 The ending does give me hope about that, although I really don’t know if Claymore can bring it together well enough. Misunderstandings have been cleared up and the teenage gatherings ensue. These past two chapters of KnT have been so pleasant. Like enjoying sweet tea with a delicious savoury snack from the East, there is not much to whine or remotely complain about. 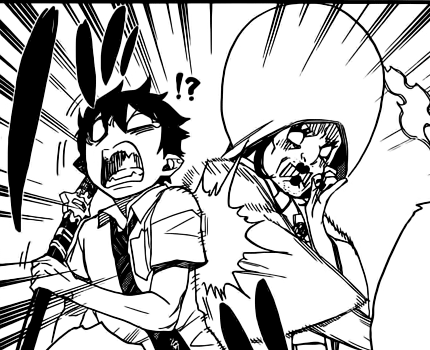 Chapter 73 was very cute and nice but it was one of those chapters that got dragged out. KnT typically does that with some of its chapters much like Bleach, however it didn’t annoy me. After transitioning from the anime, I embraced the series’ slow pace and glide through chapters such as this one. Chapter 74 was sooo teen drama. Not drama as in dramatic turn of events, drama in the sense that you’ve seen this all before on some bad TV show about teens and their love lives. Even so, it wasn’t bad. 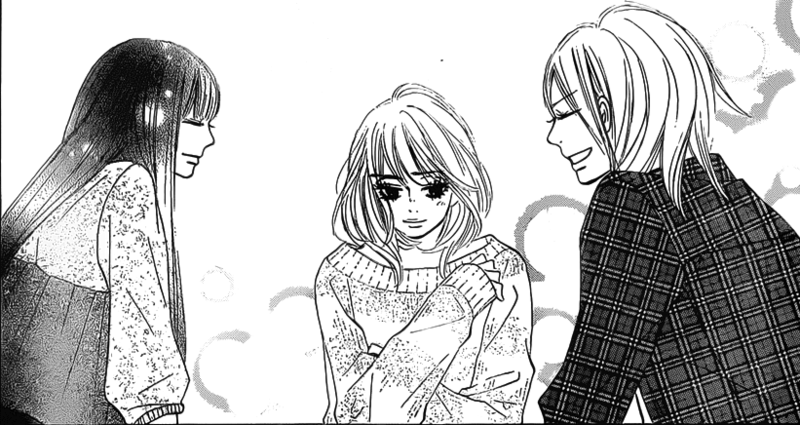 Kazehaya and Kent’s 3 am conversation was the comedic start to this chapter that carried on with the girls gabbing. If anything, this chapter was to establish that Kent and Ayane are really trying to have a decent relationship; a part of me does think that Kent wants it a lot more and that could cause some instability later on. There was that one moment of frustration: what happened with Chizuru and Ryuu We’ll have to wait a little longer to find out. This is PSYCHO-PASS‘ manga counterpart running in Jump SQ under a different name. It’s pretty much what I expected from a manga adaptation of an original work. Summed up: this is the first episode with a little bit more material at the beginning. The material at the beginning was all about how Akane came to be a police officer, in a very duty bound way. It’s good to finally know why she chose to do so, and whilst the information was good, it was limited. If you already watch PSYCHO-PASS, then only a tenth of this chapter would be any good. Because the rest of the chapter was the first episode in manga form, it just paled in comparison to the wonderful anime. Coincidentally, if you don’t watch the anime, I’d love to hear if this chapter was good from your perspective. I might blog this manga whilst a few series are on hiatus. The hope is that there is some manga original material in every chapter , even if it’s a small portion like in this episode. Currently, the anime has lent itself to a few gaps that could be filled in by the manga. After months of praising this series, I have run out of things to say. My only negative point about the story at this point is the rising level of complexity, although it hasn’t gotten to a ridiculous stage where I can’t follow it any more. All that build up is killing me! You just know the author is well versed in creating suspense. Each chapter has us feeling the pressure and there are always events unfolding. As the titans keep evolving and becoming smarter, we get closer and closer to the big climax I’ve been dying for. 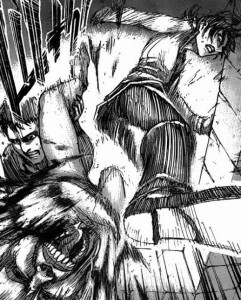 Interesting thing is Shingeki no Kyojin doesn’t have stand out chapters; it’s consistently great. Unlike say the Big 3, there aren’t any chapters you remember for being better than the others or way amazing. Each chapter of this series delivers suspense, plot twists and everything else that makes a story interesting.